The main activity of Sistemas Genómicos is the research, development and commercialization of analytical applications based on molecular techniques. Our mission consists in being constantly at the forefront in the biotechnology sector to provide solutions that contribute to improve health and quality of life. In the Biomedical field, Sistemas Genómicos is strongly committed to the development and commercialization of services devoted to the genetic-molecular diagnosis of human diseases. On a monthly basis, we extend our services portfolio by including analyses which, on occasion, are not done in any other laboratory in the world. In the Agri-food area, our challenge lies in satisfying the needs of the firms in this sector by means of analytical services which can only be met by employing DNA analyses. Moreover, Sistemas Genómicos works on developing and manufacturing kits by extending its activity to the sales of specialized products, and also provides counselling to help implement technology. The management of Sistemas Genómicos maintains a commitment to the properly provision of the services offered through good professional practices, and by controlling and guaranteeing the quality of the assays carried out and the products manufactured. This firm’s priority objective is to guarantee the satisfaction of all its customers. Sistemas Genómicos has been accredited by ENAC, for the ISO 17025:2005 and ISO 15189:2007 standards for the scope defined in the technical annexes in force (313/ LE646 and 313/LE1957) and certified by AENOR, compared to the ISO 9001:2015 standard (certificate nº ER-0052/2005) and compared to the ISO 13485:2016 standard (certificate nº GS-0001/2015). Sistemas Genómicos is also CLIA certified (No. 99D2077066) which is required in the North American market for diagnostic tests. Sistemas Genómicos holds the required sanitary license to operate as a manufacturer of in vitro diagnostic medical devices, granted by the Spanish Agency for Medicines and Health Products (AEMPS). The scope of the license covers both the manufacture of genetic test kits and the manufacture of software for bioinformatics analysis of genetic data (license number 6500-PS). On an annual basis, the management of Sistemas Genómicos defines the quality objectives which are transferred to all the organization levels for the purpose of ensuring the defined quality policy. Anualmente, la dirección de Sistemas Genómicos define los objetivos de calidad que son trasladados a todos los niveles de la organización, con el propósito de asegurar la política de calidad definida. 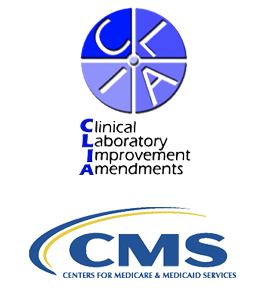 Our solidity and reliability are vouched for by various national and international accreditation and certification programmes including CLIA for diagnosis and participation in clinical trials in the USA. We have ISO 9001 and ISO 13485 certification for genetic diagnosis and healthcare products, ISO 17025 accreditation for food and agriculture products and ISO 15189 accreditation for the genetic laboratory. The GeneSGKits® are based on targeted resequencing technology and have CE marking for use in diagnosis. The same goes for GeneSystems, which are registered as a healthcare product with CE marking. with a commitment for quality as a strategic pillar for growth. Sistemas Genómicos also has CLIA certification (No. 99D2077066), required on the North American market for carrying out diagnostic tests. 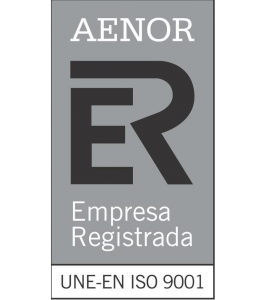 Sistemas Genómicos has been certified by the Spanish Association for Standardization and Certification (AENOR) for standard ISO 9001:2015 (certificate No. ER0052/2005) for designing and producing molecular analysis kits for use in the food and agriculture sector, DNA sequencing and Preimplantiation Genetic Diagnosis. 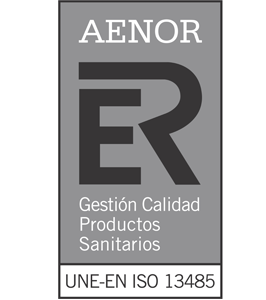 Sistemas Genómicos has been certified by the Spanish Association for Standardization and Certification (AENOR) for standard ISO 13485:2016 (certificate No. GS-0001/2015) for the design and manufacture of healthcare products for in vitro diagnosis (sequencing kits for genetic testing), the design and development of software for bioinformatics analysis based on massive DNA sequencing technology for the in vitro diagnosis of genetic diseases and providing a bioinformatics analysis service on samples taken using massive DNA sequencing. 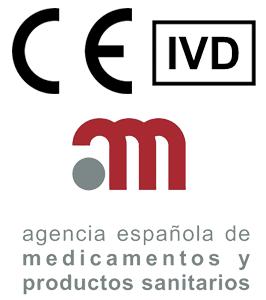 Sistemas Genómicos has the mandatory health licence for operating a laboratory as the manufacturer of healthcare products for in vitro diagnosis, approved by the Spanish Medicines and Health Products Agency. The scope of the licence covers the manufacture of genetic testing kits and software for bionformatics analysis of genetic data (licence No. 6500-PS). Sistemas Genómicos has been accredited by the Spanish National Institution for Accreditation (ENAC) for standard ISO 17025:2005 (accreditation 313/LE646) to carry out biomolecular trials on food and agriculture products and detect egg and gluten in food.